Posted on June 22, 2018 at 3:29 pm. If any of these situations sound familiar, you’re not alone! Parents can be just as anxious about the start of a school year as kids since they also worry about who their child’s future teacher will be and if there’s anything that they can do if he/she has trouble in school! As a parent and psychologist, I know that one of the most difficult parts of parenting is navigating through your child’s academic world. It can feel very overwhelming to try to determine your child’s needs in order for them to have the very best experience at school. The good news is that Rice Psychology Group can help guide you through the process, and one of the first steps for your family may be a gifted evaluation! What will happen in a gifted evaluation? Your child will complete a variety of activities that will examine their verbal and non-verbal reasoning, memory and visual-spatial abilities. This type of evaluation is not anything that your child can “study” for, so don’t worry about doing any type of preparation beforehand. When it comes time to take the test, we tell children that they’ll be playing a series of games that will help us understand how their brain works. Before testing starts, we’ll work to put your child at ease by chatting with them about their summer plans, their favorite activities or their pets. Many high-achieving children are worried about making mistakes, so we try to alleviate their anxiety by telling them that the games may seem easy at first but get harder because they’re for older kids and adults as well, so it’ll be okay if they don’t know all of the answers. The best thing that kids can do during their evaluation is to try their hardest and not give up! After testing is completed, our psychologists will meet with you to provide feedback and discuss options on how to move forward. If your child’s scores fall within the gifted range, we can provide information on the next steps to take. 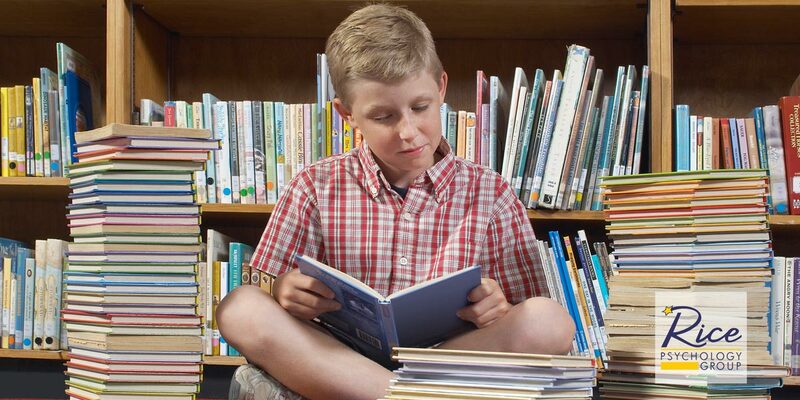 If your child’s score falls below the gifted range, perhaps in the very high, high average or average range, we can also talk about the benefits of being a high-achieving, high-IQ child and ways you can advocate for him/her at school. Rice Psychology Group understands that you want the best for your child during their developing years. So do we! If you’ve been told by your son or daughter’s teacher that he/she is excelling at a rate that’s advanced for their age, or if you’ve noticed signs that he/she may be gifted, then reach out to us today to learn more about our gifted testing services in Tampa!